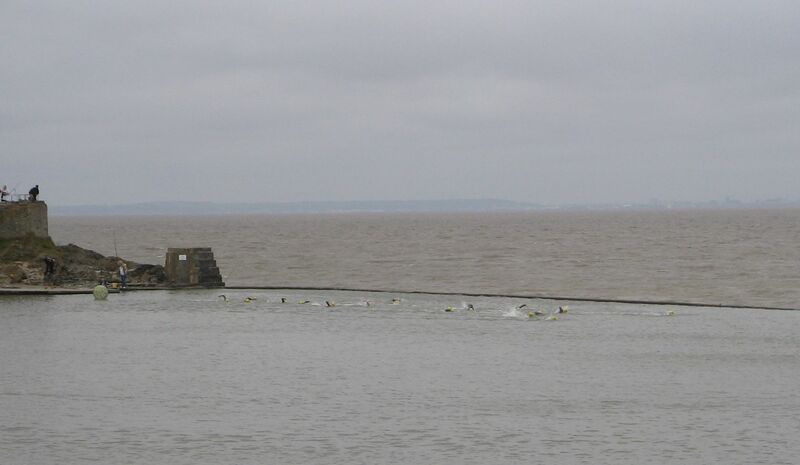 And then today they swam and ran in the Aquathlon, starting down at the marine lakes. About 30 intrepid souls took part (I didn’t count and have trouble estimating more than 10). The event is pretty testing, and the weather was not helpful with a cold wind. Anyway – a swim of either 400 or 800 m followed by a run of either one or two return trips to the pier depending on the version you entered for. I would say that some entrants would count as athletes, others as fit amateurs, but I really don’t want to hurt anyone’s feelings, and I take my hat off to them all. Here’s a photo or two. Apologies for the shaky photos, but it was too cold to hold the camera steady! and one with the pier in the background. 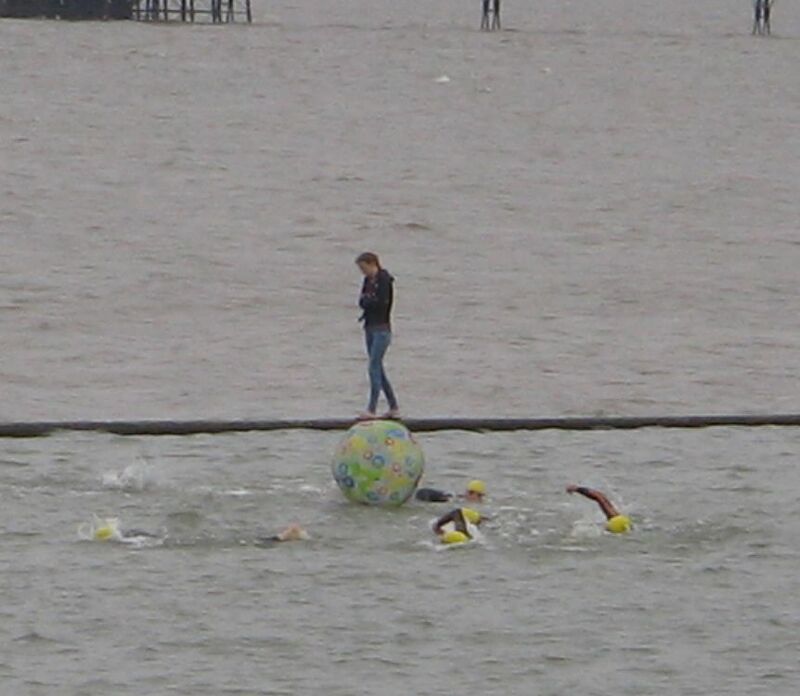 The girl isn’t balancing on the ball, although I’m sure she would have been able to. As you can see the crowd was gripped by the drama, to a man. Anyway, the event deserved more attention, but I reckon all the BBC cameras must all be in Glastonbury! By the way, my sister in law Chrissie took the following picture in Clevedon and then digitalised it in clever ways. 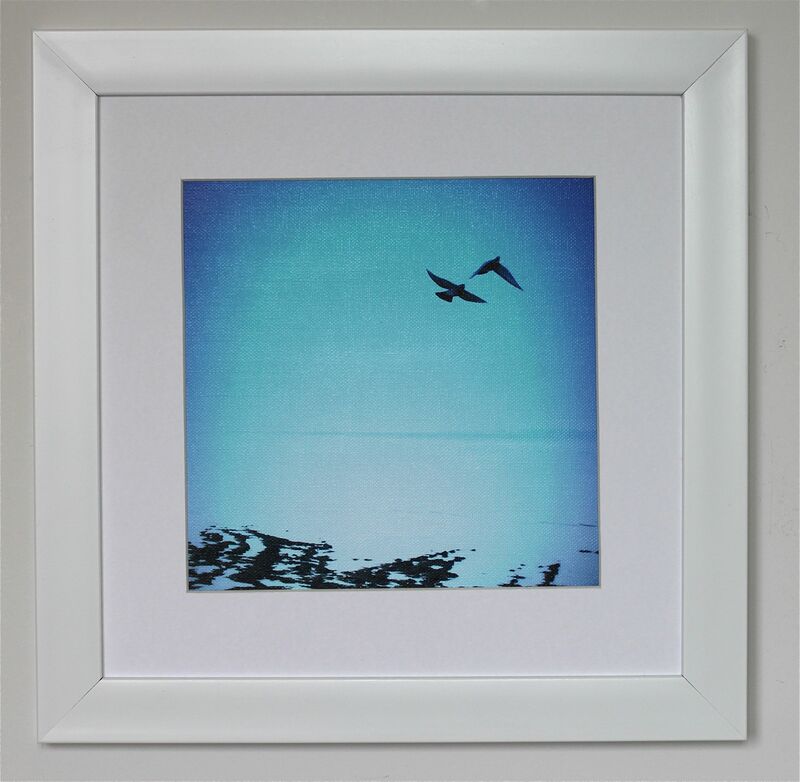 We liked it so much that we’ve framed it (and some others of hers) and put in in our shop. 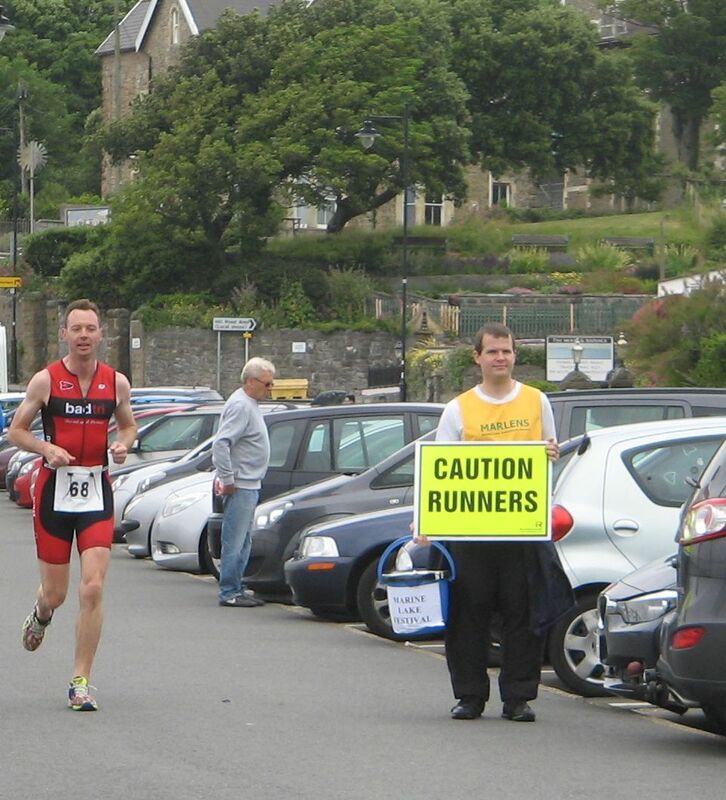 This entry was posted in Clevedon and tagged aquathlon, Clevedon, outdoor sport, photography, running, swimming, triathlon. Fabulous! Keep it up! It always makes me smile.